How do you decide which rug...? Lick your finger and waft it in the air? Check behind your horses ears? Meticulously study the Met Office app on your phone, cross referencing it to the BBC's? Cursing the 4g signal if it fails to update! The quizzing of fellow liveries..."what rug are you going for...?" Recongnise yourself as any of the above? Me too, I've been all of them and although the Orscana by Arioneo will not take away these equestrian behaviours, it will offer useful insights to validate your choices and educate, enabling you to anticipate the right solution. 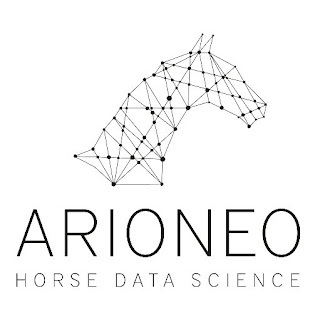 Arioneo are experts at linking technology systems to horses and the Orscana is an intelligent sensor that provides all horse owners with the ability to better understand our gee gee's needs. Years of research has gone into identifying the thermal comfort zone across all equine breeds and where best to place the sensor for accurate data. The Orscana detects four levels of equine movement, lying down, standing calmly, active and agitated. Each detection was validated by rigorous testing, including video and statistical analysis. For general day to day use the Orscana gave me a sense of comfort and relief, because Oscar is a native breed I would always rather him be too cool than too warm, but not to the extent he would look rough, dull or cold in his coat, it's a balancing act and one the Orscana confirmed I had right 90% of the time! This did however make me stop and think...what if Oscar was on full livery, in a busy or professional yard where some horses are not necessarily known inside and out? Is it going to be cold tonight, therefore does one rug weight suit all? Just like humans some of us feel the weather more than others, the expression 'killing with kindness' is severe but is good way to explain and has highlighted the benefit of modern rugs that offer differing fills around the body and useful layering systems, an investment I am going to make ahead of next Winter. Also after exercise studies have evidenced there is a higher risk of respiratory disease if the correct rugs are not used at the right time, this is because when a rug is applied immediately after exercise the sweat levels rise and the body temperature decreases. 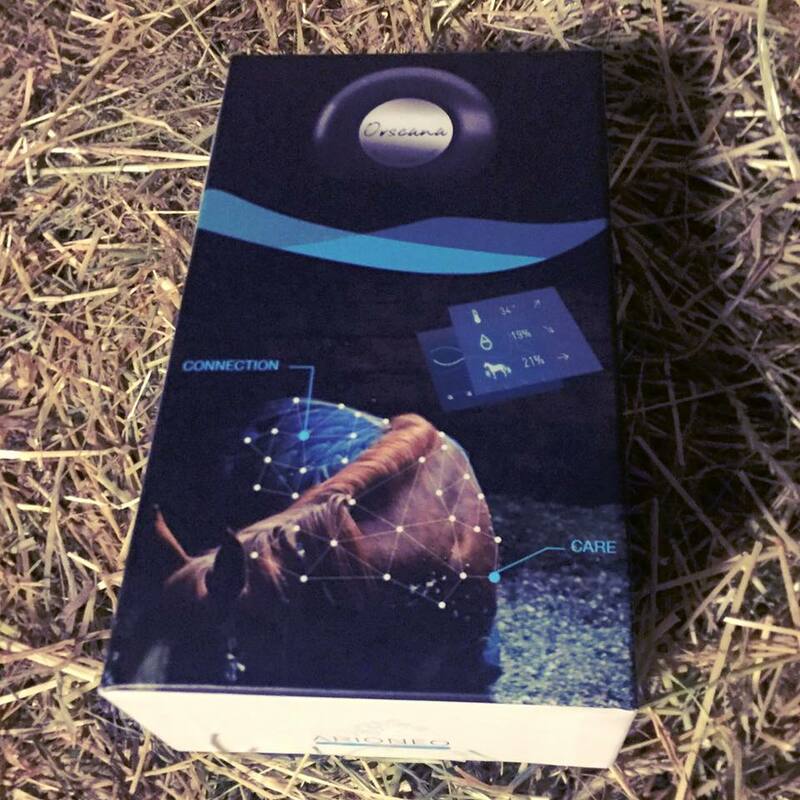 The Orscana monitors both temperature and humidity levels enabling you to know exactly the right time to change out of a simple cooler and into your travel/stable/turnout rug, really useful when at an event or after fitness work to stay in excellent health. Which leads me onto travelling...does your horse travel warm, cool or as per normal? My answer, erm...well, Oscar always travels quietly, never arrives sweaty, I lightly rug and always open all four windows and his roof vent, whatever the weather, I think probably warm? I have travelled six times using my Orscana, twelve trailer journeys in total, each time Oscar's temperature and humidity level dropped. This surprised me because he often shakes with excitement at even the sound of the trailer being hitched up and by habit I ditch a layer or reduce the fill of his rug, something I am now reconsidering. To compete most of us aren't fortunate enough to have a big venue on our doorstep and travelling long distances can be inevitable, Orscana gives us a real opportunity to ensure our equines travel well and arrive in tip top condition ready to perform at their best. What is right for the 5am start may not be by 9am...? There were no variations to the above findings when travelling to and from the vets which was hugely reassuring. After the visit, mid-March Oscar had to be stabled for 24 hours due to a treatment he had and I found the data to be of great comfort, seeing he had laid down, remained calm and at a regular temperature. Therefore for equines on box rest the Orscana would establish distress triggers, measure the success of boredom breakers or monitor risks of colic etc..
To me the above helps understand the secret life of our horses, how often do they lay down at night, in the day, is this consistent, is any behaviour out of character, any midnight distress signals? Does your horse box walk or anticipate a competitive event because you plaited up the night before, is this lack of rest affecting their performance, if so I know I'd sacrifice the extra hour in bed to plait up in the morning. Then there are stay away shows, how well are they really coping with the environment? To receive an update you have to be within 30 meters of your horse, at first I was a little disappointed but soon realised Arioneo have done this for our sanity! The right choice for five hours of the day, might not suit for the final two but we can only endeavor to do our best and grabbing your handbag, escaping from work to change rugs in a rush isn't ideal. Neither is texting the yard manager every hour, therefore I ate my words and in hindsight I don't want a 'live' feed of data. I know that Arioneo's next release of their app will allow the sharing of data from the Orscana sensor between devices for the benefit of yard staff, friends, family when you're not around. On two occasions the Orscana app has failed to update, both times this has been because the sensor has switched off, possibly when I have handled the sensor, changing from rug to rug or Oscar laying on it? The battery has a life of 6 months and costs less than £3 to replace, the set up is simple with easy to follow step by step instructions. Knowledge is power, anything that can improve health, wellbeing and performance of our equines is an excellent investment and in my opinion well worth the £90 price tag, I believe this is the future of our horse care, no more guessing.